Considering a career in the fitness industry? The following will help guide you in the right direction for a career in New Zealand’s Fitness industry. ExerciseNZ makes it very clear message, make sure the course is reviewed by REPs to ensure they meet the full requirements to work in the industry and thereby register with REPs. This means completing one of these courses will take a person from completely unqualified, to fully able to work in the industry. The successful completion of a qualification from a REPs registered education provider will meet the qualification requirements to REPs register in New Zealand. If you have completed a qualification which is not listed, you should contact REPs on 0800 55 44 99 or info@reps.org.nz for information on the options available to you. Looking for a job in the fitness industry? 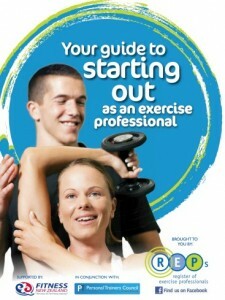 For those looking for a career in the industry the best place to look is the jobsite www.fitnz.co.nz. Full details can be found on the website.